*The size of your tyre is located on the sidewall. Get the latest deal and best prices available on all major brands and products.. Direct Tyres have a large range of tyre deals for Alloy and Steel wheels to suit both 4×4 and passenger cars. If you’re looking for tyres in Auckland, our shop in features the very latest rim designs for your vehicle from wheel manufactures. Being in the tyre industry for so long, we understand that staying in business takes more than providing a service or product in exchange for our customer’s hard-earned money. It’s about doing your best for each customer. Why suffer with uneven tyre wear, handling and fuel efficiency problems when a simple wheel alignment can solve it. We use a Hunter digital alignment system, accurate to 0.1mm. We are confident with camber, caster and toe adjustments to get your vehicle straight as an arrow. We also perform regular and low profile installations, computer spin and road force balancing and rotations, as well as nitrogen inflation. Over the years technology and cars have changed but our commitment to providing customers with the most complete services with knowledgeable personnel and state-of-the-art facilities remains the same. 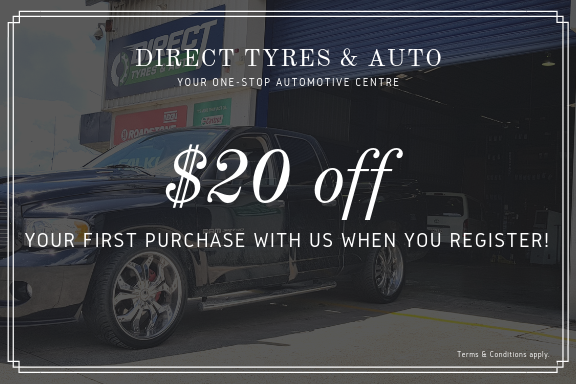 Our staff have years of experience in the Auckland tyre & auto servicing industry, for your peace of mind to know that you are buying from qualified professionals who not only sell good tyres but look after the safety aspects of your vehicle. You can trust us to give you the best information about your car, leaving you in a solid position to make the right choices.